The seventh annual Chaldean Festival attracted thousands of people to the Southfield City Centre district from June 8 to 10. 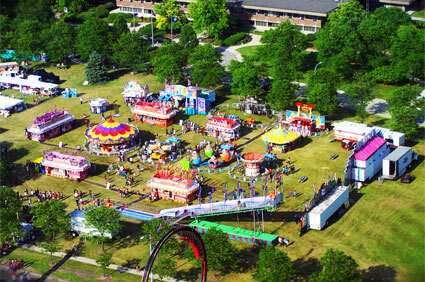 The festival — sponsored by the City of Southfield, Chaldean Chamber of Commerce and the Chaldean Community Foundation — took place on the lawn in front of City Hall and on a portion of Evergreen Road from Civic Center Drive north to the Southfield Library. Families enjoyed carnival rides and games, live entertainment, children’s activities, a cultural tent, food, and 32 merchant booths. Each year, the popular event draws a diverse crowd and provides an opportunity for the Chaldean community to celebrate their culture and share traditions with residents in metropolitan Detroit. An estimated 120,000 Chaldeans live in the Detroit area.